From Goodreads: In the future, humans live in city-like spaceships orbiting far above Earth’s toxic atmosphere. No one knows when, or even if, the long-abandoned planet will be habitable again. But faced with dwindling resources and a growing populace, government leaders know they must reclaim their homeland… before it’s too late. 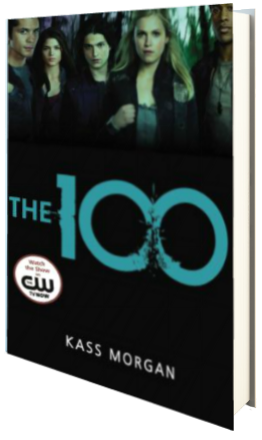 Now, there are a lot more characters in The 100 than in These Broken Stars, and having insight into the lives of characters both on Earth and in space was intriguing as well. I can totally see why the CW picked up the series, and I’m dying to watch it as I enjoyed seeing how people reacted in Space as well as learning about their culture—one that, even though removed from Earth, has not changed much in terms of hierarchy, though punishment for crimes certainly has. Thrusting 100 “guilty” teens on Earth as an alternative to death was a nice plot twist, and learning about each main character’s individual “crime” definitely kept me glued to the pages because in reality, they’re all intertwined with one another, another awesome aspect of the story. But because we follow the story of four distinct characters—Wells, Glass, Bellamy, and Clarke—I didn’t feel like I really got to know the characters as well as I wanted to. There were a lot of questions left unresolved for me, and I did, in truth, find the character’s first few days on earth to be a bit boring. However, there is a fairly big cliffhanger at the end that turns everything on its head, so I can’t wait to read the next novel; I’m hoping that I get to know the characters even more as their stories continue, because while I don’t feel like I know them very well, I want to. The characters are very well written and I have a feeling that a lot more bombshells are going to be dropped in the sequel. Three stars. I saw the teaser of the series and I was really looking forward to it, then I learned that it’s based on the book and I was debating reading it. Thanks for this review, I didn’t enjoy the series and now I know it’s a 3 star book, so it will save me some time. I think I’m too conservative in that area.. I never saw a movie or series based on a book that I liked, I had this image of how everything is support to look like and they way “they” do it.. is always the WRONG way.. I’m very angry when they go off script :) So I know it’s either the book or a movie/tv show.